Make it Up in Your Favorite Colors for a Stunning Rendition! Rays extend between the stars in this intriguing quilt, adding another layer of complexity to the striking design. 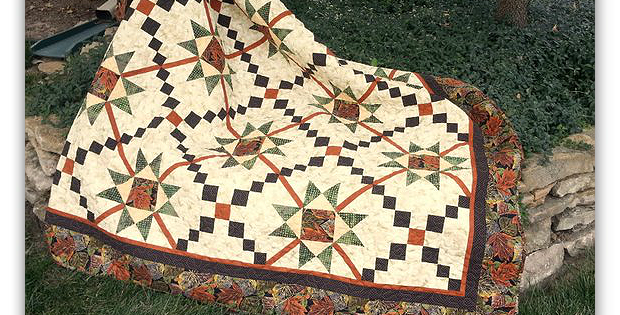 It’s a compelling quilt that is wonderful in many color themes. Play with color combinations for your own special version. You’ll love the design possibilities as well as the ease of construction. 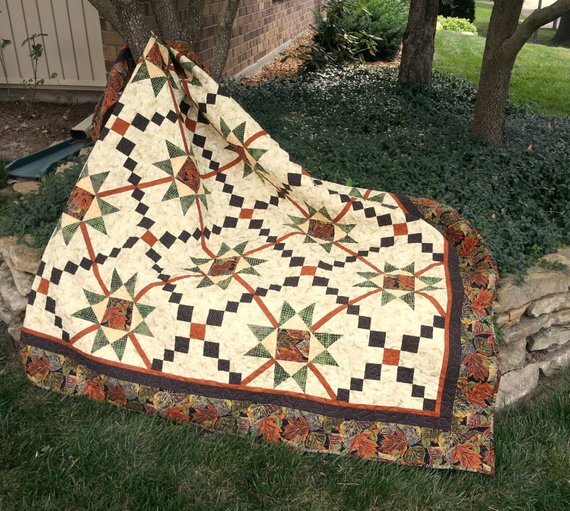 The quilt was designed for confident beginners. Its complexity will also be appreciated by more advanced quilters. 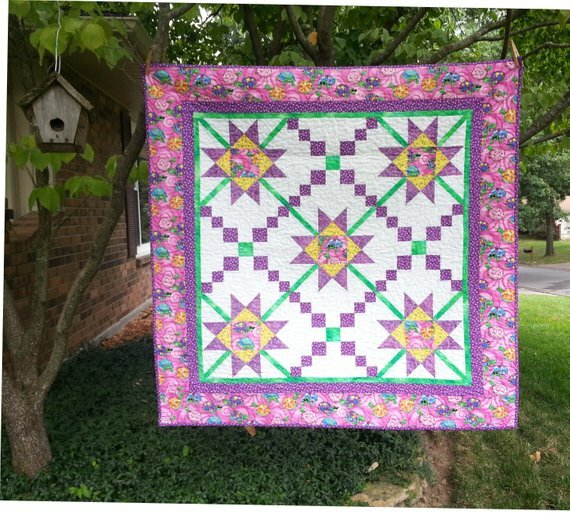 Click here to purchase the “Knotty Times” quilt pattern.